A few years ago, my husband and I surprised our kids with a trip to Disneyland, on Christmas Day. Because the trip was expensive, we cut back on buying presents and — throughout the holiday season — concentrated on giving back instead. We prepared sandwiches for Heroes for the Homeless, made cards for soldiers and collected food to stock our town’s food bank. It opened our eyes to the need in our own community and made us resolve to develop a family practice of giving long past the holiday season. If you have a similar goal of developing a volunteering tradition for your family but aren’t sure how to begin, we’ve rounded up great giving activities for families or groups, to suit a wide range of ages and interests. Consider making a monthly commitment to the cause that speaks most to your family. Receiving all year long is fun, too, so also check out the list at the bottom of the article for ideas on one of the year’s hottest gift trends: monthly subscription boxes of toys, games and craft kits. Put these two together and your kids will experience the joy of giving — and receiving — all year long. Did you know that 40 percent of food in America goes into landfills? Shoreline-based Food Lifeline creatively redirects food that might otherwise go to waste, providing 88,000 meals a day to food banks, food pantries, after-school programs, shelters and hot-meal programs. Kids as youg as 6 can help sort and pack food for families, and kids ages 16 and older can help inspect and sort rescued food from restaurants and grocery stores. Good to know: Volunteers must be at least 6 years old, and youth younger than age 18 must have a signed parental consent form. You can also gather a group and sign up for a weekly or monthly commitment. 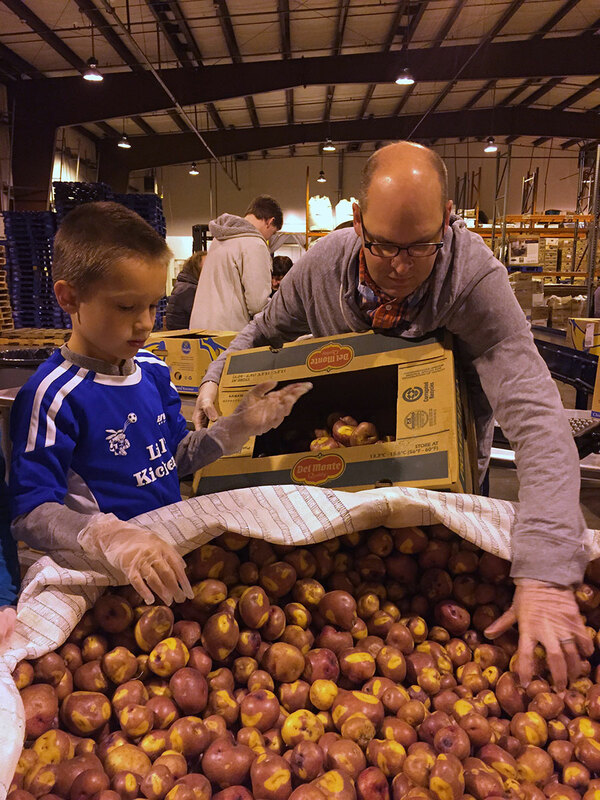 Kid volunteers work alongside adults to sort and package food, make sandwiches and distribute food at either Seattle’s Cherry Street Food Bank or the Kent warehouse for Northwest Harvest. Young volunteers will love using a conveyer belt to move food, and will appreciate knowing they’re part of an operation that provides more than 2 million meals per month to food banks, meal programs and schools in high need. Good to know: Kids in third grade and older can volunteer; if they’re 15 or younger, they must be accompanied by an adult. All volunteers must apply and schedule a shift. The world is facing an enormous refugee crisis with millions of people from all over the world seeking asylum. Although the Syrian refugee crisis is currently in the news, families from many other countries have also fled their homelands and are unable to return due to war, or for fear of persecution due to their race, religion, or political views. One way to help local refugees is volunteer with World Relief Seattle's Cultural Companions program, which matches new refugee families with other families to meet weekly for at least six months. (World Relief helps refugees from more than 50 countries resettle.) You can share meals, practice English, help out with practical advice about American life, and build friendships. You can also donate household goods for refugee families' apartments (check the website for a list of needed supplies) or hold a household goods drive and donate basic cleaning and kitchen items to World Relief Seattle. Good to know: Organizations that help refugees overseas are primarily in need of funds. You can hold a garage sale, a coin or penny drive, bake sale or other creative fundraiser to raise money for top-rated organizations that help refugees, including HIAS, International Medical Corps or UNICEF USA. Kids who love digging and planting will enjoy Seattle Tilth’s drop-in volunteer work parties. The farm produces thousands of pounds of fresh produce each year, which is passed on to the local community. Good to know: Dress for the weather and bring a lunch, snacks and water bottle. 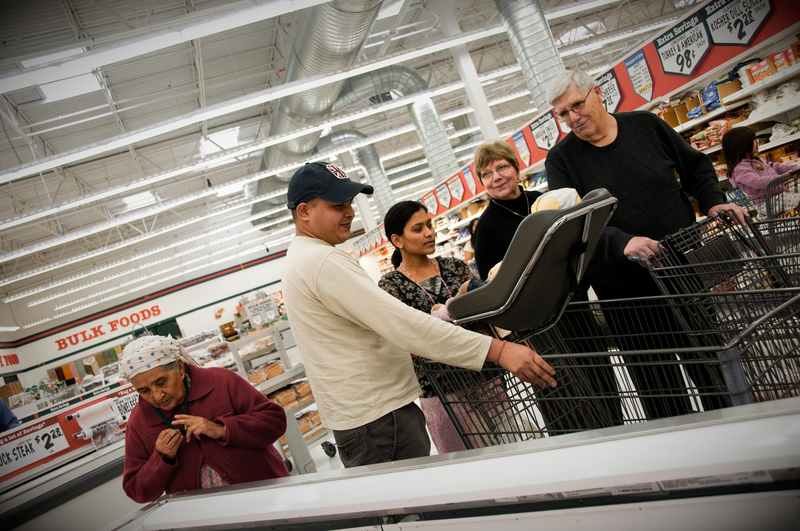 Volunteer age varies; check with Seattle Tilth for latest information. Seattle-based nonprofit EarthCorps trains young adults from around the world in environmental leadership and restoration. 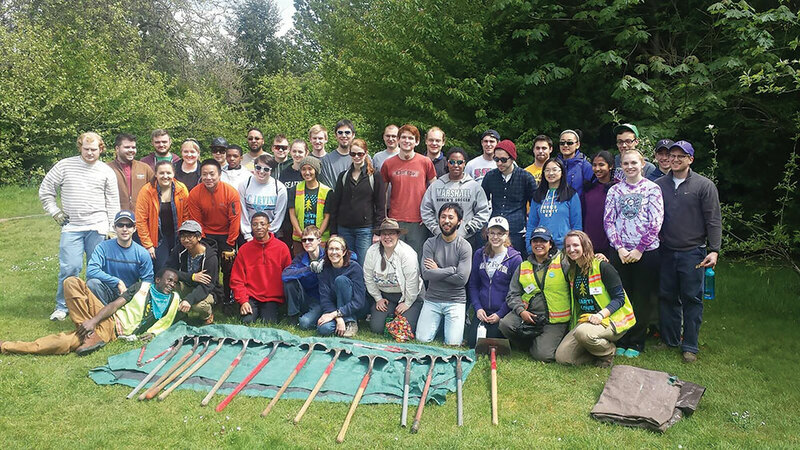 These leaders in training, in turn, lead year-round work parties to maintain green spaces around the Seattle area — a great opportunity to contribute to the parks that sustain families all year long. Kids will love learning about local flora and fauna, and how to use tools. Good to know: All ages welcome but young kids must be accompanied by an adult and a signed youth waiver may be necessary. Can peanut butter and jelly make a difference? Yes! Heroes for the Homeless delivers emergency services, such as food and hygiene items, to the most vulnerable of the homeless, those living without any kind of shelter. 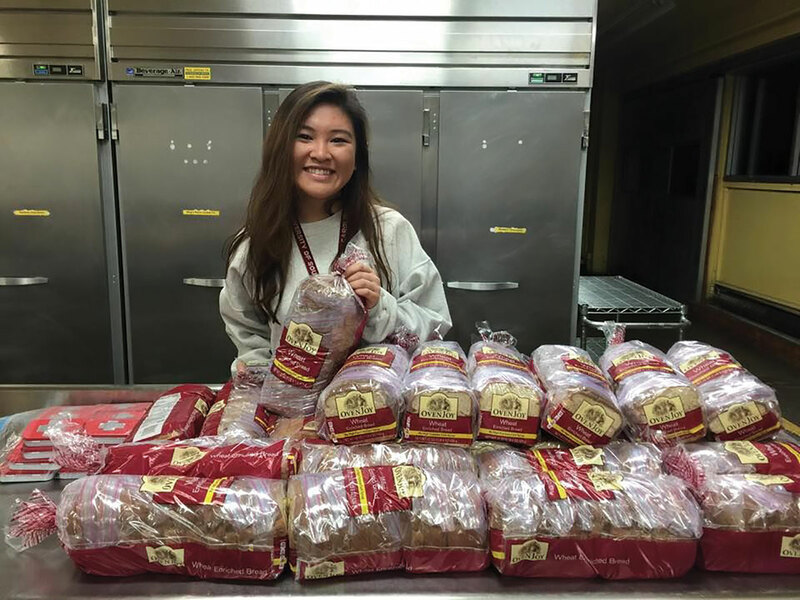 Families or groups with kids of any age can sign up to make sandwiches at home; each month, up to 500 sandwiches need to be prepared the night before an outreach and dropped off in the morning at the organization’s Queen Anne location. Good to know: Kids of all ages can help with parental supervision; this is a fantastic opportunity to gather a neighborhood, church or sports group and hold a sandwich-making party. Do your kids like to play store? Sign up to volunteer together at Treehouse’s “Wearhouse” in South Seattle, a place where foster kids and caregivers can shop for clothing, school supplies and gifts free of charge. Volunteers at the Wearhouse sort through books and tag clothing, a bit like working in a true retail location. Treehouse connects foster kids with basic necessities, extracurricular activities and educational resources. Good to know: Volunteers are asked to commit to a certain number of hours per month and the age of the volunteer varies by activity. Contact Treehouse for latest information. Families with critter-crazy kids should look into volunteering with a local chapter of the Humane Society. At the Tacoma/Pierce County Humane Society shelter, kids must be 16 or older to work at the shelter, but families can foster animals at home. At the Seattle Humane Society in Bellevue, beyond fostering animals, families can make pet blankets or catnip toys, or host a pet food or coin drive. Good to know: Volunteers must be at least 16 to work at the shelter in Pierce County and 18 at the Seattle shelter. 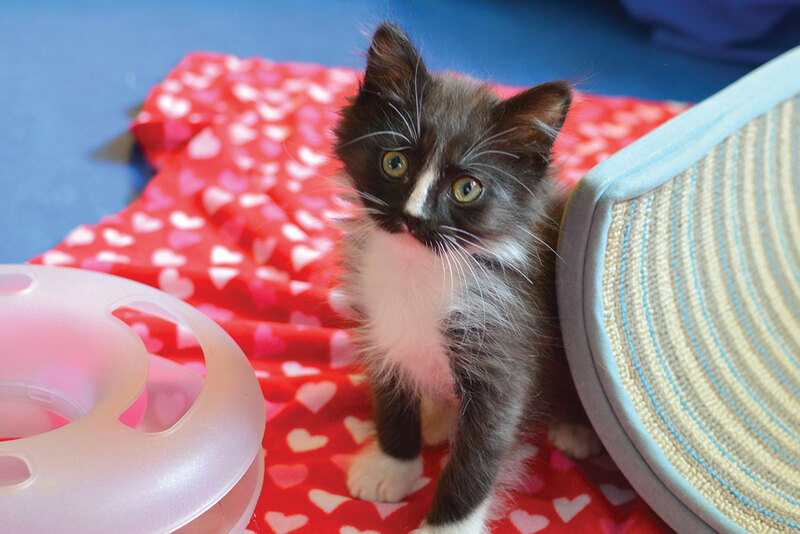 At-home projects are available for all ages through the Seattle Humane Society, and kids of all ages can help parents care for foster animals at home. Eastside Baby Corner and WestSide Baby are nonprofits that provide basic necessities for vulnerable kids from birth through age 12. 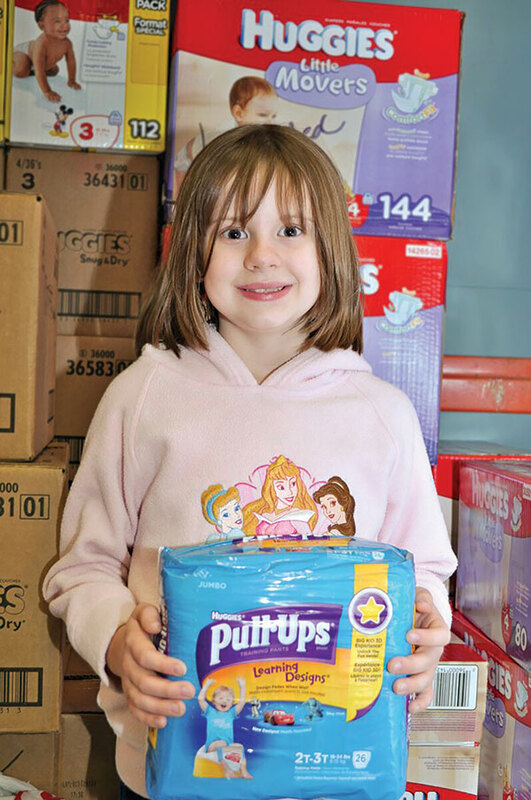 Kids can volunteer alongside their parents to fill “Big Bundle” clothing bags, basically “shopping” for a family in need. Teens can help out at community events, running games and activities, or at annual events. Good to know: At Eastside Baby Corner, volunteers ages 7 and older can sort donations and fill clothing orders (check Eastside for the latest information); at WestSide Baby, volunteers can also do take-home projects, such as doing laundry, creating toy grab bags and sewing. Ways to make a difference abound at Teen Feed, an inspiring organization that feeds homeless teens at locations in Seattle’s University District, Rainier Beach and Auburn. Kids ages 10 and older can help prepare and serve meals, and kids in middle school and high school (18 and younger) can be “Allies,” who do chores such as help with registration, or simply spend time hanging out with the “guests” (homeless teens). Allies serve in pairs, alone or with an older “Advocate” (older than 18). Many Allies enjoy this position so much that they go on to be Advocates. Good to know: Volunteering at Teen Feed is ideal for middle or high school students, ages 13 to 18. To be an Ally, you must make a regular commitment. Details at Teen Feed. By pairing volunteers with senior citizens in need of social connection, Friend to Friend America solves one of the most poignant problems in society today: isolation. Six out of 10 seniors living in group homes or assisted living facilities don’t receive visitors. To sign up, fill out an online volunteer form, noting that you’d like to visit with your children, and Friend to Friend will “match” you with a senior in your community who would like to see kids. Good to know: Families with kids of all ages can participate, but it’s asked that you visit weekly or biweekly. The Senior to Senior program matches high school seniors with seniors; these kids can visit independently. Seattle's Ronald McDonald House provides a "home away from home" to families of kids with serious illnesses who are being treated at Seattle Children's Hospital. Families and groups of all ages can help these families by making "snack lunches," brown-bag lunches filled with nonperishable packaged items such as fruit cups, granola bars and juice boxes. Snack lunches are available for families to grab and go for a quick meal (a sandwich and piece of fresh fruit is provided by the House). Good to know: The number of bags you make is up to you, no signing up is required, and you just drop them off at the front desk of the Ronald McDonald House in Seattle. Kids of all ages agree: Receiving all year long is also pretty satisfying, especially when you’re getting a monthly box of toys, games and kits tailored to your age and interest. Ideal for artsy teens or tweens, each ArtSnacks box contains four or five professional-grade art supplies — many of which haven’t hit the stores yet — and a “menu card” describing the tools and how to use them ($20/month). Get cooking! Kidstir boxes teach kids to cook while they learn about where food comes from. Each box includes recipes, activities, kid-size utensils, a specialty ingredient and plenty of educational “foodie” info ($19.95/month). The brainchild of Steve Spangler, the creator of the Mentos/Diet Coke geyser experiment, this subscription science box, aimed at kids in grades K–6, contains enough materials to complete more than a dozen science projects. Bonus: Kid-friendly instructions are liberally laced with Spangler’s trademark humor ($29.99/month). This monthly dose of creativity can be tailored to kids ages 3–16, and includes two or three hands-on projects in arts, crafts, science or engineering ($19.99/month). How would your comic-loving teen or tween like a monthly package of graphic novels — many brand-new — worth at least $60? Each month has a theme, such as “Cloak and Dagger or “Cinematic Adventures” ($20/month). *Prices subject to change. Visit respective website for latest information.